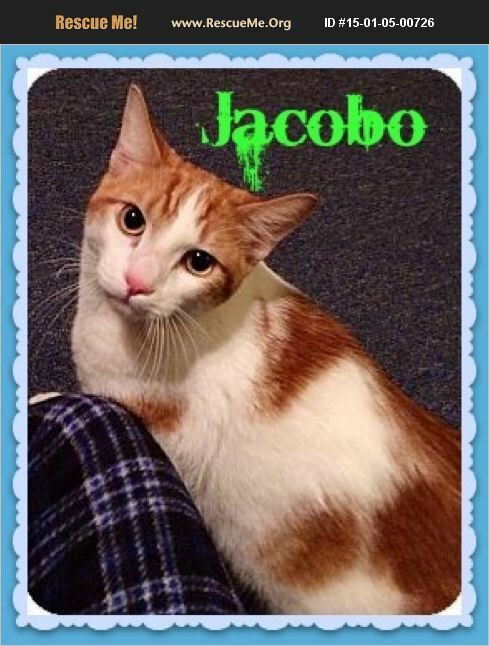 ***Sorry, we cannot adopt outside of Southern California*** Jacobo is a big sweet and lovable boy born about 9/2013. He was found starving in a dumpster and taken in by a good neighbor, unfortunately, she could not keep him so now he is looking for his new forever home. He is a very sweet, low-key Kitty and would love to be a big ole lap kitty!